Resource use efficiency analyses of village ecosystem are necessary for effective and efficient planning of resource utilization. 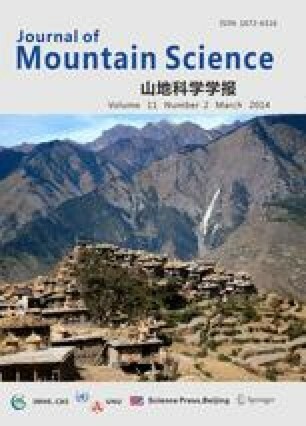 This paper deals with economic and energy input-output analyses of different components of village ecosystem in representative buffer zone villages, which are practicing transhumance and settled way of lifestyles in Nanda Devi Biosphere Reserve (NDBR) of Garhwal Himalaya. While the villages practicing transhumance used various natural resources spatially segregated, the villages practicing settled way of lifestyle have to manage resources from a limited spatial area through rotation and varied extraction intensities. Forests subsidized the production activity in both type of villages and the per capita resource extractions were found to be greater in transhumance village than settled village. Though crops provided maximum energy, in terms of economic criteria, animal husbandry played important role in both settled and transhumance villages. As villages representing both the situations showed different ways of adjustments to the conservation oriented land use changes, management authority needs to address the eco-development plans fulfilling the aspirations of all people traditionally using the resources of the Reserve to reduce the conflicts and encourage their participation in the conservation of the area.